Today is all about Chanel's Plumes Précieuses Holiday 2014 makeup collection! I realize that many of you were hoping to see this tutorial earlier, but I waited to film and release this video until the online launch of the stunning Rêve d'Orient eyeshadow palette. Many of you mentioned before that it can be frustrating to see a product in action and want to purchase it, only to find that it is sold out or no longer available. Luckily, Rêve d'Orient has been so high in demand that Chanel has decided to release it to Nordstrom.com, Macys.com, and Chanel.com (coming soon). More details after the jump! As mentioned in the video review, the Caresse powder blush and Envol cream eyeshadow are my favorite pieces from the Holiday collection! I think they're truly magnificent when worn with Rêve d'Orient. Caresse is best on those with fair to medium complexions since it is a pale peach color, but Envol will work on any skin tone! Just use an ivory eyeshadow base like MAC's Soft Ochre or Bare Study if you have tan to dark skin. 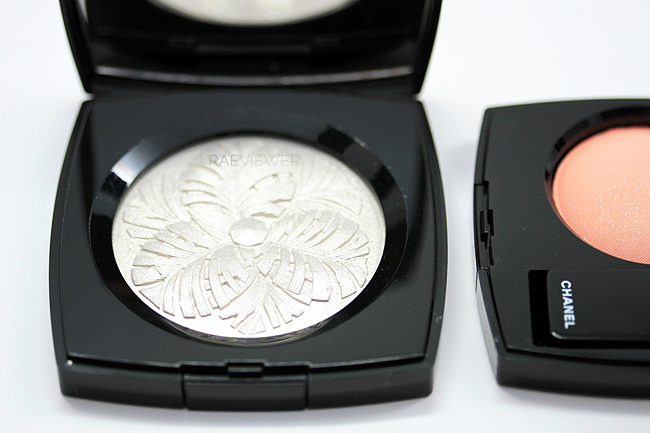 The Camelia Illuminator is also another must-have if you wear highlighters because it brightens all complexions! The platinum color is rather unique, and I have never seen it executed so flawlessly before. The Or Blanc is another phenomenal product for the collection. I've never encountered a neutral metallic Stylo Waterproof pencil that I did not love. They are perfect for use on the lower lash lines. Now, I know many of you are curious to see how similar Rêve d'Orient is (or is not) to Charlotte Tilbury's Fallen Angel Holiday Palette — also adorned with stars. I assure you that it is entirely justifiable to want/need both. The bronze and black in both palettes may resemble one another, but Rêve d'Orient is warmer in tone and satin in finish wheras Fallen Angel leans taupe and metallic. Ultimately, I recommend Rêve d'Orient to everyone because it is more vibrant and pigmented. Fallen Angel, however, is ideal for natural, neutral makeup lovers (as the black is more charcoal than true black). I will post a comparison of the two palettes, worn on the eyes, when I review Fallen Angel in a couple weeks! You need them! 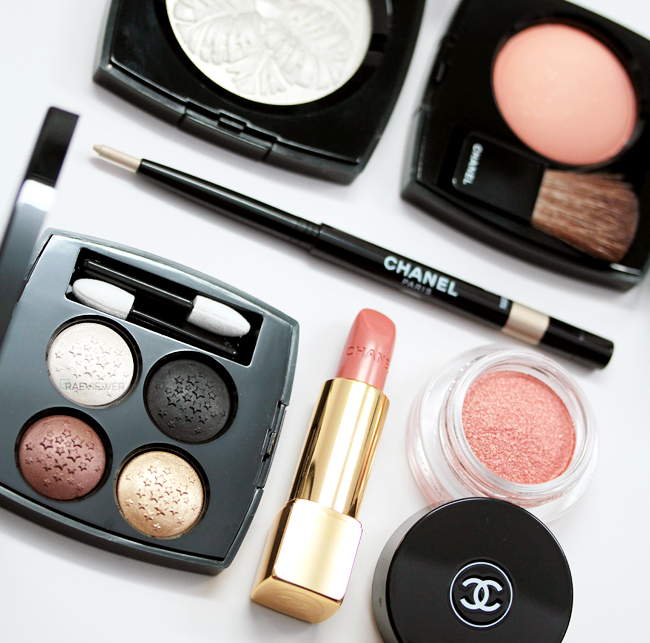 My favorite Chanel collection of the year (with good reason).. everything is so wearable! Thanks for the review! Also, what do you recommend as a first brush kit set? I've read Sigma is a popular choice but mixed reviews because it wears out fairly quickly.